I have only just arrived as my quest for flight has brought me to the land of FliteTest! Such wondrous experiences, designs and goals from people all over the world gathered in one place. I can't wait to be a part of the community. BIO: I am an Aerospace and Ocean [Naval Architect] Engineer (Virginia Tech '11) with the background to design anything that moves through a fluid. I have some RC experience with Design Build Fly competitions years ago and Team America Rocketry Competition before then. Currently I reside in Southern Maryland as a Mechanical Engineer. 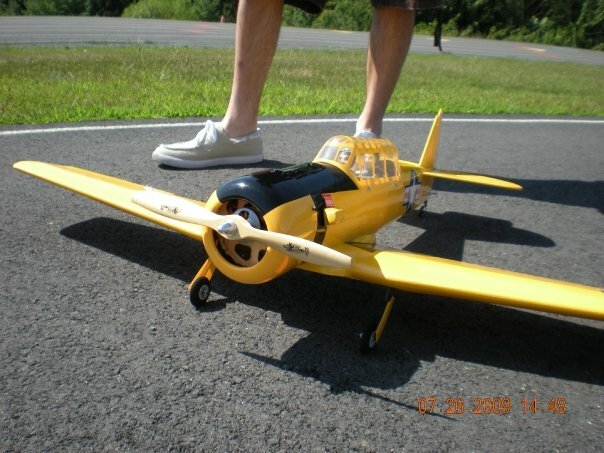 PLANS: I had my own T-6 scale aircraft before it sadly fell prey to the grounds voracious appetite and other various UAVs but nothing large outside my job for quite a while. 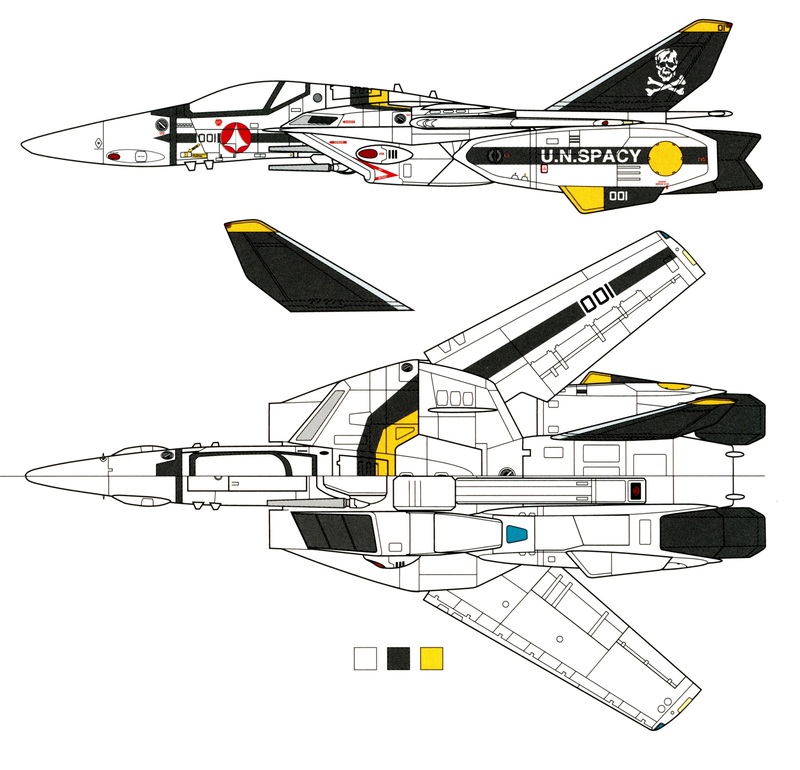 After around a 6 year hiatus from anything of note, I have returned fresh and ready to pursue a new RC dream; to create the infamous VF-1 Valkyrie and its incredibly ridiculous ability to transform from forward high speed flight to hovering in place with a dual engine setup like a robot. I hope to provide as much detail as I can on my journey and am willing to accept any tips, tricks, skills or support the community may offer. Godspeed and Goodluck with your own Aeroventures!! Best of luck! And I agree with Kilroy, ton of fantasy builds coming out and i am sure you could find some tips and potentially enter your build. I have seen a video of the aircraft just in its normal fighter mode which worked surprisingly well and a different one that uses kind of like a UAV setup with just the cosmetic look of the aircraft in GERWALK mode. Nothing so far with the thrust lines coming from the leg pods yet. 1) Develop Iron Bird test bed with just the internal structure and components required to actuate and run the motors. 2) Test stability and ability to stand on motors in the FIGHTER and GERWALK modes (>1:1 TWR) using tethered crane setup. I may ditch "on-board" power for this phase and use an umbilical just to simplify the structure initially. 3) In the FIGHTER mode, complete the air frame and add missing control surfaces and systems. 4) Test ability to transform while tethered and unpowered and on the ground. 5) First test flight in the FIGHTER mode, and testing transition from forward to vertical hover flight. 6) First test flight in the GERWALK mode. 7) Test slow forward transition from GERWALK to FIGHTER mode. 8) Test transition from FIGHTER in vertical hover to GERWALK mode. 9) Push the structure limits by transforming while under forward motion from FIGHTER to GERWALK mode at higher and higher speeds. 10) Beef up where necessary up to my max weight limit for usefulness probably around 1.25:1 TWR. Ideally a 2:1 TWR is what I am looking for but for EDF it can be a bit tricky. I don't want to stand on props either as its both bulky and dangerous and for now jet turbines are outside my current price range and the 50lb weight limits for free unlicensed flight. I will definitely look into the build challenge thanks! This is going to be epic! 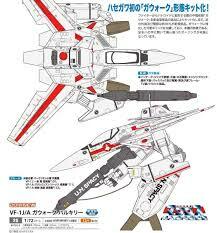 Are you making a new thread just around the VF-1 or just posting it all on here? Well, that's good as there's no way in Hell I can afford two turbines!! 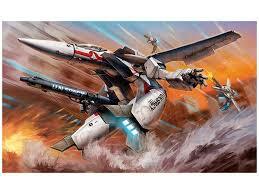 I am curious, how would you accomplish hovering with jet engines? sounds extremely challenging and potentially explosive. Cant wait to see it! The throttling and fuel control would be one of the more challenging parts. I think I can manage the throttle response delay by adding the second DOF to each leg. However, I don't see getting there for a LONG time and not without help from outside. Hopefully if I can do a successful EDF proof of concept I might garner enough backing to warrant a Go-Fund-Me or something. The numbers are just easier to think about when they are larger LOL. Well one thing about electronics is they respond almost instantly, I think if you got some good EDFs/Batteries you could accomplish hovering, maybe if you put a small EDF facing upwards in the nose and configured it like a tricopter. Setting up intakes and transition would be tough though. I don't want to "cheat" with a nose fan. All the control should be possible with the right vector nozzle, knee and hip range of motion. Adding hip swing capabilities opens up the most potential with roll control as the nozzles will be essentially 1D. The CG location is also stupidly critical for this but with enough control range it should work out. I might have to put the battery pack on a servo and move it dependent on the flight mode transition to control CG. I am also not concerned about flight time as long as I have 30-60s of stable control. Power output is more important as the more thrust and quicker response time I can pull, the better control I will have overall. Flight time will just have to be handled later. I always wondered about CG, seems like if you mount the fans in the legs it would shift very far back when in the fighter mode.... Then swing far forward in the guardian mode. So I spec'd out the weight and I got the following to start out with. I was using .125 Balsa Wood for the structure and 70mm EDFs with single 6S battery. It probably won't pull any crazy moves or Gs but good enough for my initial purposes. Each leg below the knee would weigh around 1.125lbs. The rest of the aircraft would weigh an UNDER-estimated 2.5lbs which isn't a enough for descent control authority if it needed to go into free flight. With thrust it would be fine. These numbers don't include glue, mounting HDW, and other smaller items but a simple estimation of materials for electronics and structure based on scaled SA/volume is enough for initial math. The TWR is 2.44 so I have the wiggle room to add ballast or account for underestimating structure. Ideally a TWR of 2.0 is what I want so that gives me an extra 1.25lbs to mess around with which should push the CG forward and may provide enough additional authority. The "tail" section is also supposed to fold forward pushing the CG forward some more. So I gotta say, it sounds like you are really serious about this working... (and that's music to my ears!) so let me offer a helping hand. I have a 60 watt laser cutter, if you want/need anything for this build don't hesitate to ask, I'll be happy to help this project move forward! I more than appreciate the assistance! 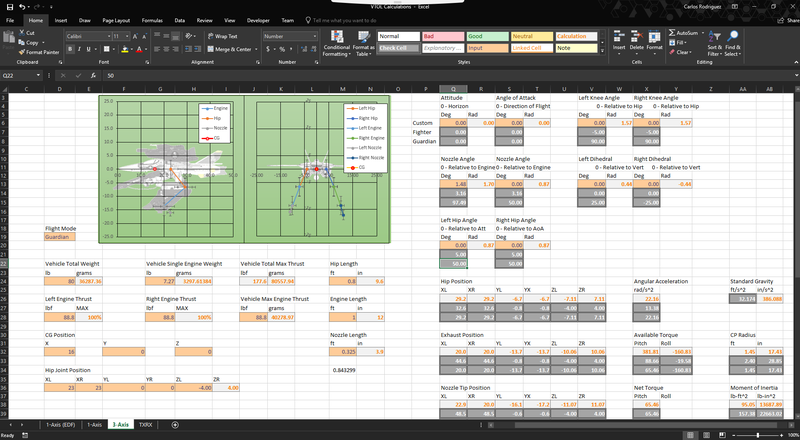 As I get comfortable with the numbers I'll push more into the design as I will need to determine how the weights balance out and the CG moves. I have access to 3D Solidworks so I can build and assemble structure to create the dxf files easily. Currently, I have been experimenting with foam board since I have a bunch and its cheap and quick to at least prototype with. I am using a tweak of the sheet metal tools in the program to make them and they will automatically unfold them for me in the program leading to instant tracing profiles. Here is a very crude attempt to make folds for nozzles and a motor mount LOL. Its a bit too wide and looks fat so I may move the servos outside for the initial prototype since it wont really "fly" and drag isn't a concern. I will probably use longer control arms and put them further up the calf. @kilroy07 what laser do you have? I have been looking into getting something other than my hands to cut foam. I think I was spoiled by those awesome dat rhino kits you made for the airshow. Control is going to be interesting but I think I will need to run the inputs through a micro-controller like an arduino or if I need more speed something else. Thrust balance would be maintained by varying the direction of thrust with the micro-controller either by RPM or by a method like what you suggested. Here is a possible control breakdown with a basic 5-6 channel setup and a micro-controller. The hip dropping servos go from fixed point to fixed point so they would just be treated like flaps on a single channel. The hip rotation servos would be run through the micro-controller when flaps active. Activating flaps could also "add" around 90deg to the knee servos which would be controlled normally using the elevator channel. The nozzles could be using the aileron (pitching) and rudder (open/close nozzles) channels while flaps aren't active. The micro controller would take over nozzle controls when the flaps are active. You would still maintain some minimal pitch control and thrust control while in GERWALK mode.